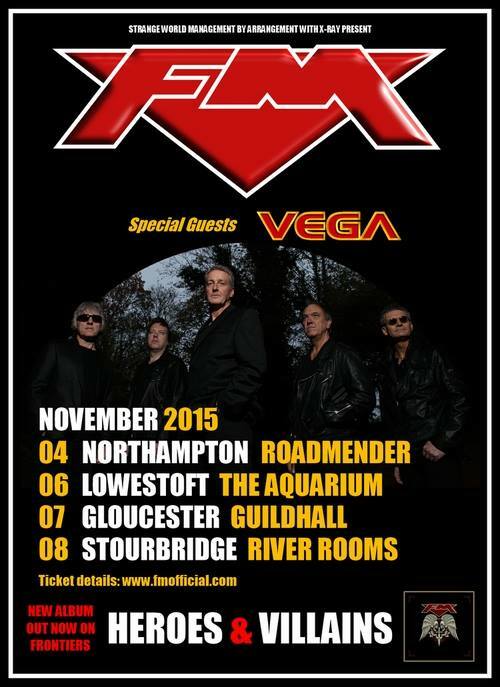 Special guests for these shows will be Frontiers label mates Vega. The band then head over to mainland Europe for the rest of November, as special guests to The Electric Boys for three shows in Sweden followed by headline shows in Germany, Switzerland, Italy, Spain, Netherlands, Belgium and France with The Electric Boys as special guests. FM round off an incredibly busy year by headlining Planet Rockstock in Trecco Bay, Wales on Friday 4th December. This entry was posted on October 18, 2015 at 8:04 pm and is filed under AOR, Get Ready To Rock!, Melodic rock, Modern rock, Music for 2015 with tags classic rock, FM, gigs, melodic rock, Music for 2015, tours, Vega. You can follow any responses to this entry through the RSS 2.0 feed. You can leave a response, or trackback from your own site.